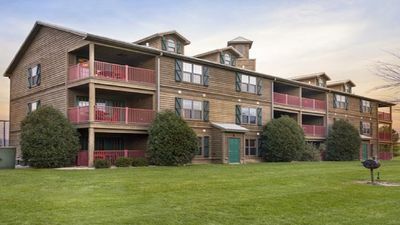 Our sprawling, outdoor-oriented resort located about 90 minutes from Chicago, provides a fantastic family getaway. 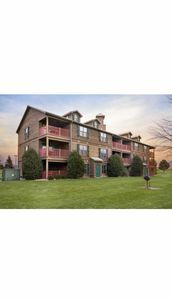 Enjoy spacious hotel-suite/condo-style 2 bedroom condos (856 square feet). You’ll love the extra space of a living room. Prepare family meals in your full kitchen with cookware and tableware included. Free laundry facilities are available on property for all guests. Wi-Fi and parking are also free! Our kid-friendly property includes indoor and outdoor pools, as well as an indoor waterpark, which is accessible year-round! Tickets are available for an additional fee. 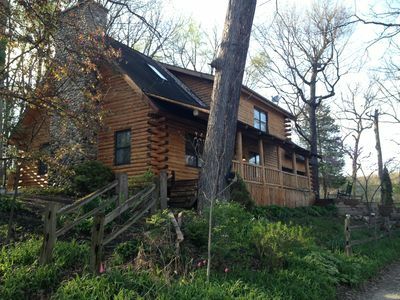 Our property is located along the shores of the Fox River. The seven-acre stocked lake provides an ideal environment for outdoor fun such as canoeing and fishing. Waterskiing and boating are not allowed on the lake. Resort activities feature an outdoor pool open Memorial Day through Labor Day, an executive nine-hole par 3 golf course, miniature golf, tennis courts, basketball courts, and volleyball. NOTE: Some amenities are seasonal and may require a separate fee. *Pirate’s Cay Indoor Water Park is 31,000 square feet of indoor, year-round fun! The water park features a bucket dump with a pirate-themed splash play area, lazy river, and four slides. The completely glass-enclosed recreational area is climate controlled and features a retractable roof for pleasant days. The entry building includes Subway® and Mama DeLuca’s® Pizza, a souvenir gift shop, The Sand Bar for cocktails, arcade, along with party/event space, changing rooms, and showers.